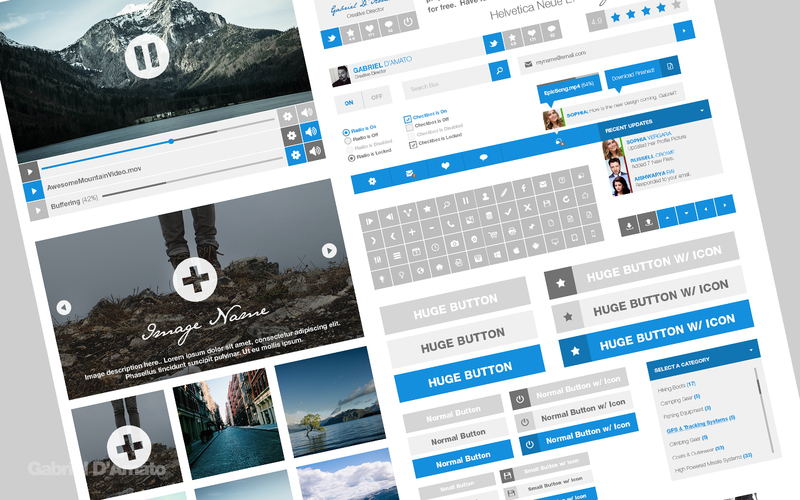 Have a Free Web UI Kit, just ’cause… – Hey there, I'm Gabriel. So I have absolutely use my fair share of UI kits to get stuff going on a project quickly, when I don’t have the time or the design hours to get the job done from the ground up. Like most designers, I use elements from another designers work and more often than not I forget to thank them for the work. It’s only fair that I give away a Free Website UI Kit too which should be considered part “Community Apology” and part “Hope You Like It”. With that being said, feel free to download the full PSD Merpflat UI Kit, and I hope you enjoy or find it useful. Drop me a Tweet if you pull it down and find it useful, I would love to see how you put it to use. 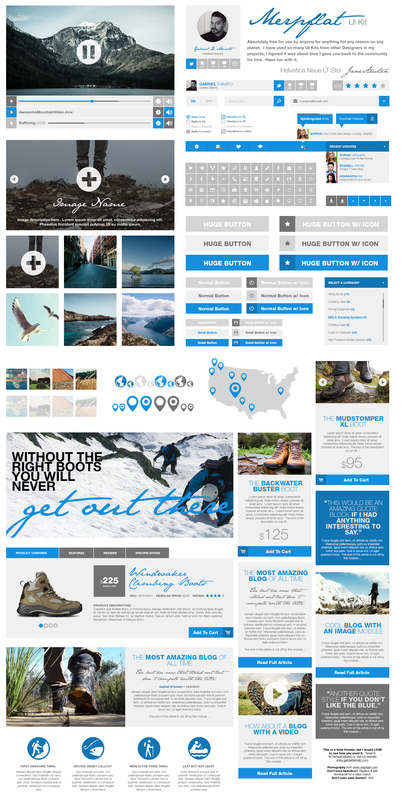 I knocked this out while explaining to a classroom of mine what a UI Kit should consist of, and how the elements should be make in Photoshop in order for a website to be brought to life. It originally started as a Wireframe Kit, but I soon started to like the fonts I picked, and the monochromatic color palette. A few short hours later I looked back on it and thought well damn, this would be a great giveaway. I used a font called Jane Austen by Pia Frauss as my decorative choice (Free for Personal Use), and chose to keep it clean with Helvetica to match (which OBVIOUSLY is not free… no no no). Pairing them together came pretty easily once I picked a color palette that was based on cool shades and tints of grey. For those of you who can’t afford the $900 price tag for Helvetica, I suggest you look at replacing it with Montserrat for this Kit. It’s nice and clean, has good weights and compliments the decorative font nicely. So, to all you designers out there that I have forgotten to give credit to… I apologize. Please don’t do gross stuff to my food when I am not looking. Enjoy all. Next PostNextLogo Mockups, Just for Fun.